Welcome to the village of Ivy Hill, a quaint village overlooking the Wiltshire countryside. Its coaching Inn, The Bell, is its lifeline, as it has been for generations. Now, however, the coach line is threatening to change the route it takes. If it does, it could bring a close to The Bell forever. This story reminded me of a mix of a Jane Austen setting with the determination of the women from Steel Magnolias, set on making their mark in the world. 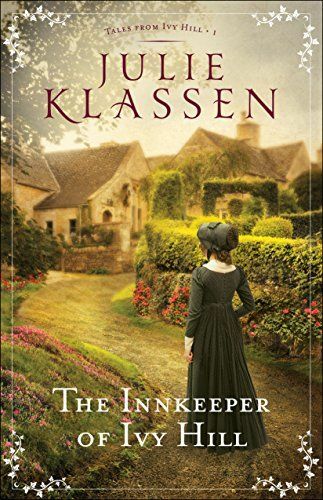 Although the story was centered solely around one family mainly, I liked that Julie Klassen included side stories of the other women in the village. Others who were determined to rise above challenges and make a life of their own. Not let the weight of their worlds push them down. I am looking forward to more stories from Ivy Hill.